Redemption is only for those residing in Singapore. 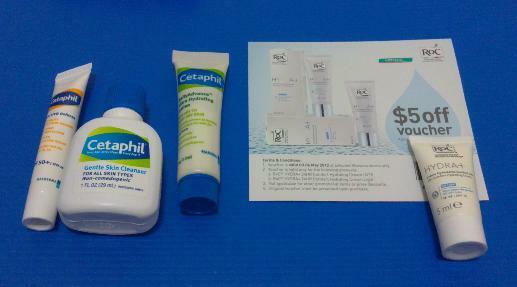 You get a tiny box containing Cetaphil UVA/UVB Defense SPF 50+ UVA28 sample (5ml), a Cetaphil Gentle Skin Cleanser sample (29ml) and a Cetaphil Daily Advance Ultra Hydrating Lotion sample(14g). You get a $5 voucher off selected RoC products too.